All of the build up and all of the hype has come to an end. Our treasures are in their new homes, we have no friends, and we're bored. One can only be domestic for so long without needing something out of the ordinary to spice things up a bit. So we found our old favorite wine. A nice Cabernet Sauvignon and Merlot mix from Chile hit the spot. A bottle of 2010 won't break the bank and the flavor tastes rich. Thanks Auntie TL for my early lessons. 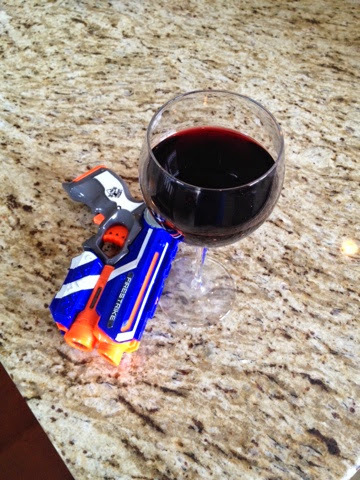 I drank a couple of glasses and had a nerf gun fight with the kids. I didn't necessarily have to have the wine to battle with the kiddos, but it just felt right. There is a lingering feeling that these inventive sorts of fun are going to be a large part of life here. Breaking out of our domesticity the following day we decided to take a wee trip into New Orleans. The trip is quick! Any visitors should know that it's easy to get to the Big Easy. Hint hint... We parked quickly and easily and a random dude handed my daughter a gigantic yellow balloon! It was a nice way to start off the adventure until it popped so loud that my husband and I nearly hit the deck thinking it was a gunshot. Phew I don't know if our hearts can take that kind of jump start at this point in our lives. 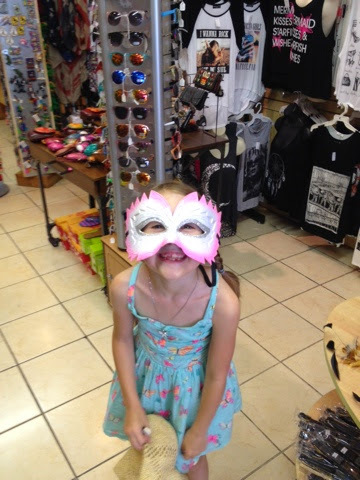 We strolled through the French Market enjoying the many treasures that wonderful spot has to offer. It was tempting to stop and grab a bowl of gumbo as the tantalizing scent wafted through the thick, humid air. We resisited though and marched on with visions of beignets in our heads. 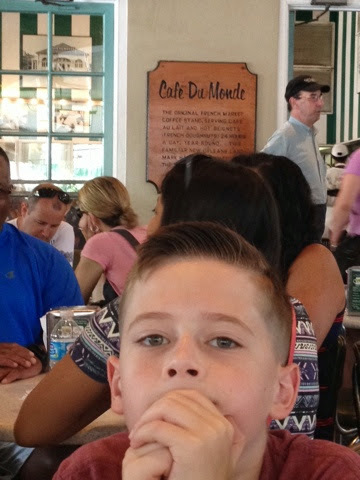 There was one quick stop to sample a praline (highly recommended if you've never had the pleasure), then on to Cafe Du Monde. The best beignets in the universe and iced cafe au lait and we were living large! In an effort to be spontaneous, my wonderful spouse then took us on a horse and buggy ride throughout the French Quarter. We were given a local history lesson from the self-proclaimed Black Elvis. He was a funny and knowledgeable gentleman who pointed out a bunch of historic buildings that we will later explore in more depth. The museums we tried to see were a bust because they're closed on Mondays. No biggie though since it won't be our last trip into this unique place. It does not take much to break a sweat with the crazy humidity. Air conditioning leaking from various establishments is refreshing. Sometimes it is necessary to pull a Marilyn Monroe when you get the chance. The kids' first experience in the Crescent City was positive with the exception of the pungent eau de Potty present everywhere. It smelled almost as bad as the gigantic mounds of trash that litter the streets of Manhattan during the summer. Or as bad as the overwhelmed trash cans on the Mall in DC. I suppose urban life is similar wherever you go. P-U. Guess it's a good thing we live in suburbia again. 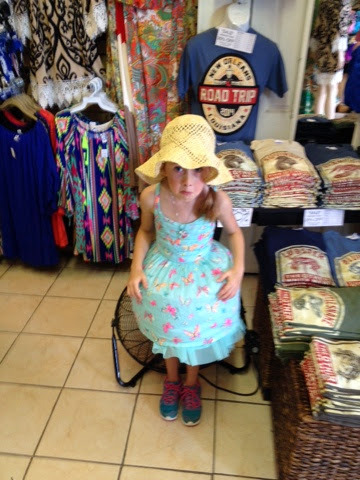 We were happy to return to the boredom. Bring on the nerf wars!